If making coffee in the morning makes you feel like you’re at your grandma's house, it might be time to modernize (and organize) your kitchen. We know a kitchen renovation means tons of dollars and many weeks of hassle. 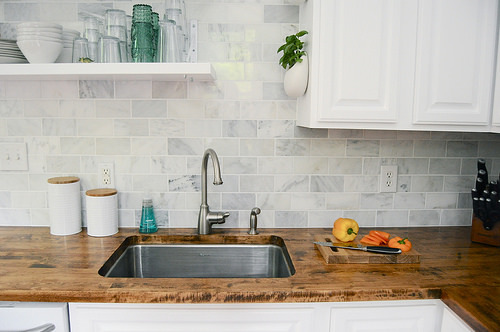 So, instead of a full remodel try some of these simple changes to make the most out of your kitchen. 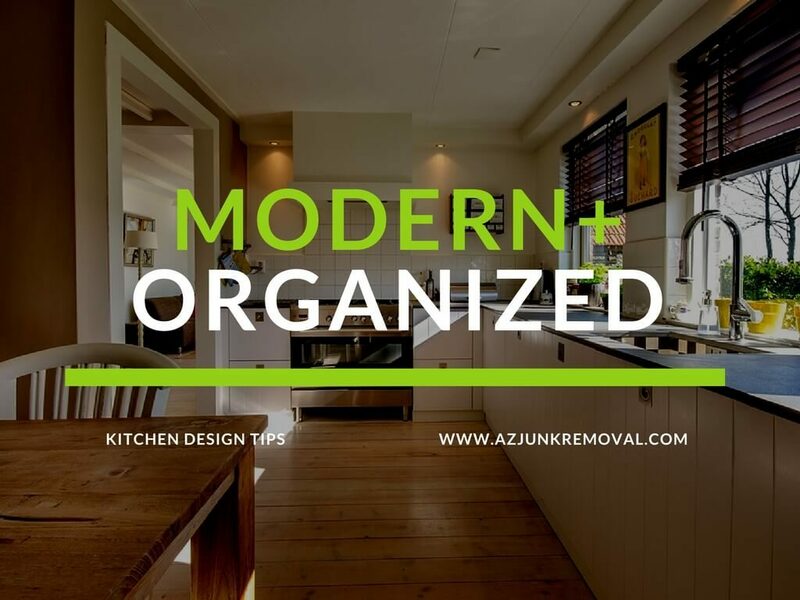 A cool way to modernize your kitchen is to remove the cabinet doors. It might take a little paint and cleaning up to make it work for your space. But open cabinets can make your old ugly kitchen look like a new younger woman, I mean kitchen. Consider refinishing your cabinets. 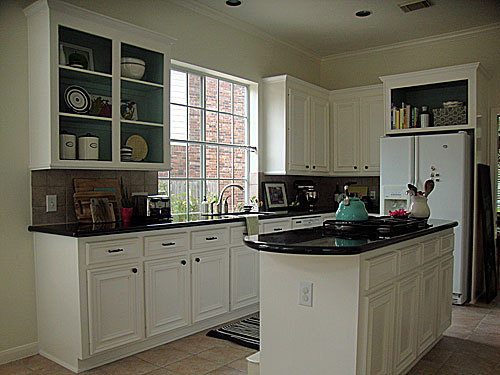 Newly refinished cabinets combined with removing several of the cabinet's doors could be just what the doctor ordered. Consider swapping out your dishes for something monochromatic, you know, plain and boring. Some people think monochromatic dishware is elegant. The grace is found in the simplicity I guess. You can go with a classic white which will look good any time of the year. Just remember when you're picking out the new boring dishes that you just took the doors off all of the cabinets so make sure they are going to look nice when you're not using them. Now that your dishes have brought a plain and somewhat boring element to the kitchen you can liven things up again by dressing up your windows. Use the windows as an opportunity to decorate. Select window panels that highlight the best features of your kitchen, or simply match them to the color on the walls. Speaking of walls, a new coat of paint will take your kitchen a long way toward modern. It can create a whole new atmosphere. The blend of open cabinets, mono-dishes, and new walls can all work together to bring you that new fresh look. The old backsplash can really be a deal breaker when you're trying to amp up your kitchen. 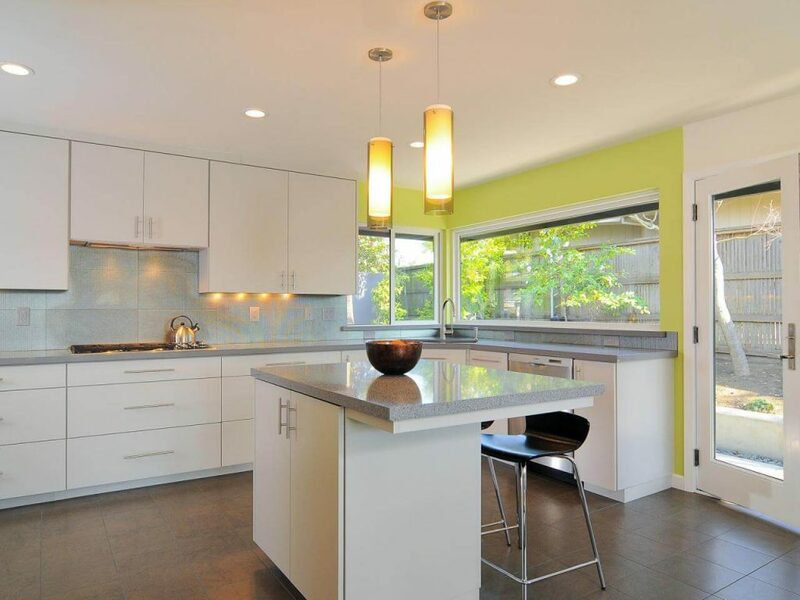 Again a monochromatic tile will transport your 1970s kitchen to the modern day. Some simple white tiles are elegant even if they are boring. Another simple change to bring your kitchen into the 21st century is to use old stuff from the 1900s. We don’t understand how it works, it just does. Reusing old tables, counters, and chairs adds a touch of flair and instead of a bunch of old crap, you magically have a cute vibe in your modern kitchen. On a similar note, try going industrial. The industrial trend takes its cues from old factories. Things like old wood, brick, and metal light fixtures are the key components to the industrial trend. Think Indian Packing Company. Now all you have to do is add some finishing touches. Grab some baskets keep all the loose items contained, it will look dignified and save you some counter space. Think about a basket full of fruit versus just leaving the bananas on the counter. Add a splash of color by placing a small rug by the sink. It breaks up the floor and has the added bonus of keeping the floor soft beneath your feet. Finally, flowers. Fresh flowers will have the most impact on your kitchen, plus it’s the easiest part. Flowers will add color and freshness to the room. This one small decoration will lighten up any room but are especially needed in the kitchen where you spend hours cooking.